The church of St Margaret of Antioch, the parish church of Roath, Cardiff, is an interesting one. There was a chapel here – ‘the Chapel of Raht’ – soon after 1100, founded by the Norman Lord Robert Fitzhamon, as a Chapel of Ease to his Priory Church of St Mary in Cardiff. A little whitewashed building, thick-walled and low, served the needs of this ancient hamlet, inhabited since Roman times, and now, for the Normans, the home farm for the castle, its pastures supplying meat, fish, butter and cheese. 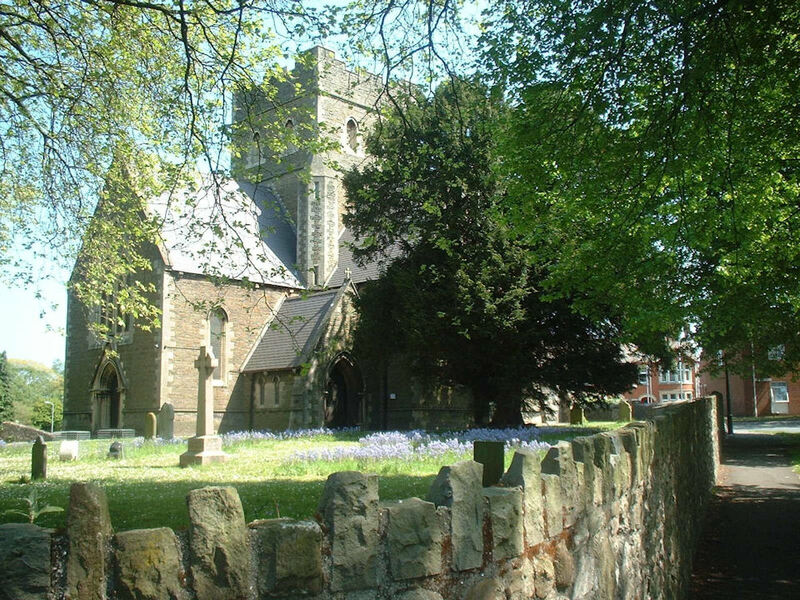 St Mary’s and its chapels were given by Fitzhamon to his monastic foundation of Tewkesbury Abbey, which provided clergy, wine and wax to the chapel of Roath until the Reformation, and in return received its tithes. The ghost of a long-dead Benedictine chaplain is said to haunt the church to this day! In 1766, John Stuart, son of former Prime Minister the Earl of Bute, married Charlotte Jane Windsor, the heiress to the Welsh lands of the Herbert family. Through this marriage he acquired Cardiff Castle and vast tracts of land throughout Glamorgan. 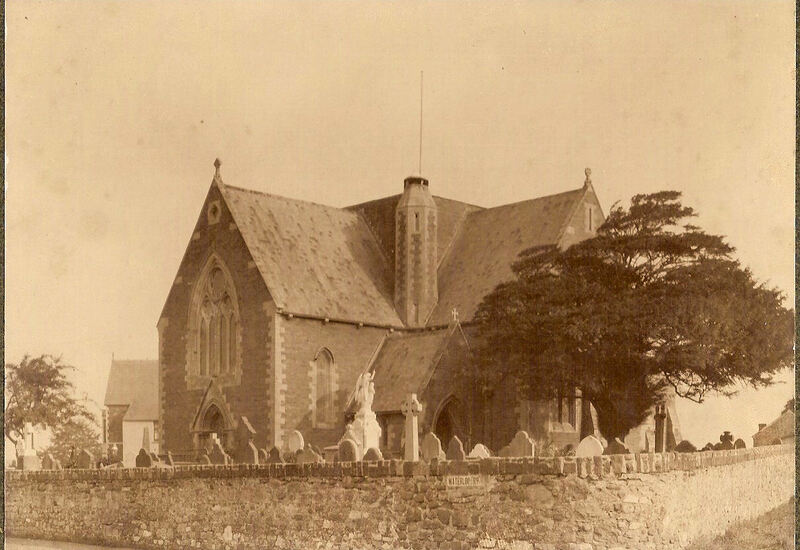 In 1792, he bought a parcel of land called the Friars Estate, which included the living of the Parish of Roath, and when his wife Charlotte died in 1800, he built a family burial chapel or mausoleum here, adjoining the chancel of the church, and with space for 48 coffins. This was intended to be the resting place of his family for generations to come. In 1839, the second Marquess of Bute, his grandson, opened Cardiff’s first dock, and this, together with the canal and the railway, led to Cardiff’s becoming a major port, the iron and coal of the Glamorgan valleys exported all over the world. 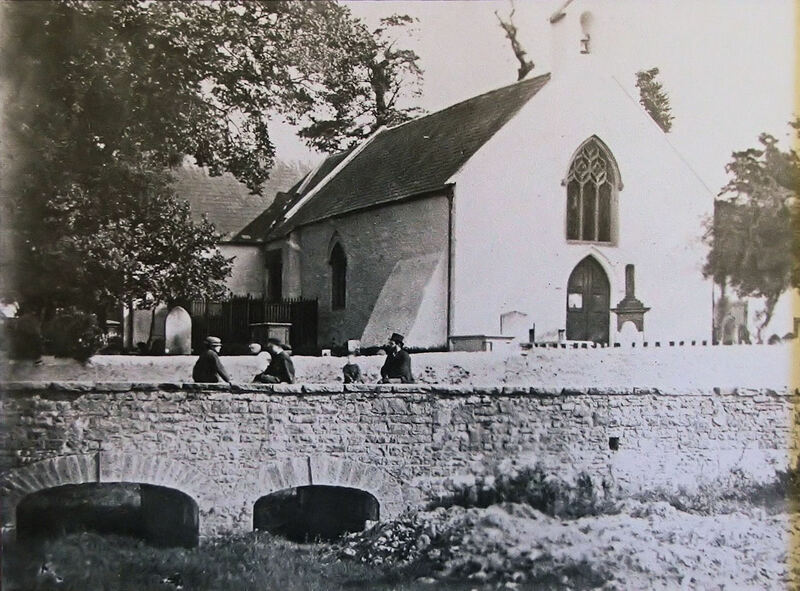 The local population boomed as a result of this industrial growth, and the little church in Roath was by then too small to cater for the needs of the people. 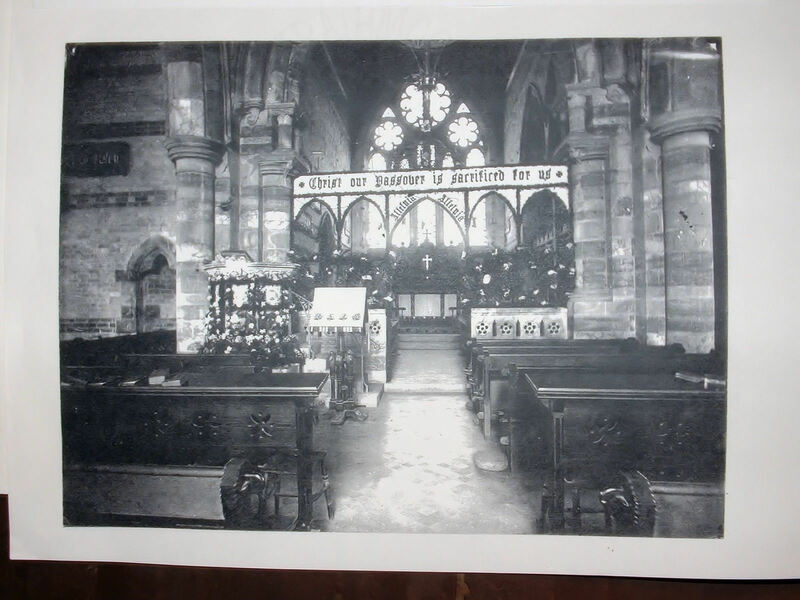 In 1868, the old church was demolished and the third Marquess, now aged 21 and a Roman Catholic, brought in local architect John Prichard, restorer of Llandaff Cathedral, to build a state-of-the-art Gothic church. The new church opened, to great acclaim, in 1870, though without Prichard’s planned tower and spire. Ten years later, the Marquess rebuilt the Mausoleum, incorporating it into the body of the church. Because of the family’s Catholicism, no further burials took place. 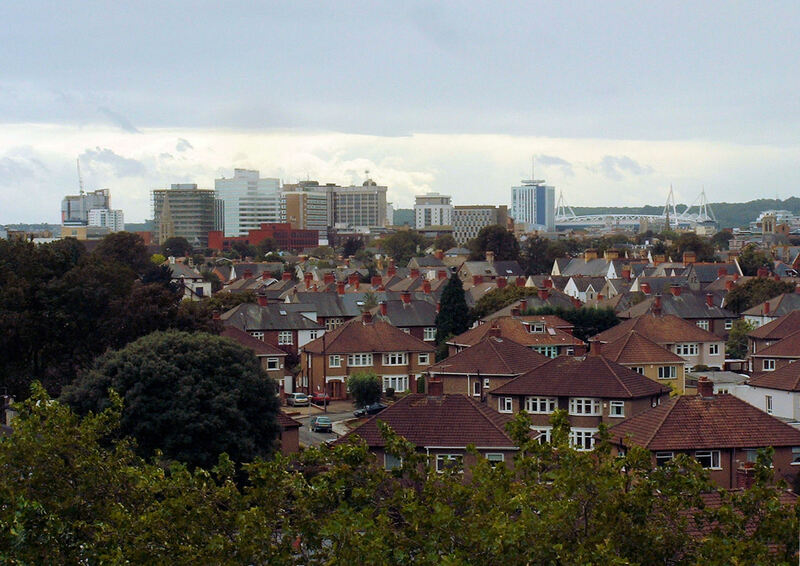 In the later years of the 19th century, Roath was a flagship parish in the Anglican Communion, staffed by young energetic clergy inspired by the Oxford Movement, and taking Word and Sacrament to the people of this corner of Cardiff, ‘more like a colonial town than anywhere else in Britain’! Fr FW Puller brought in leading architect GF Bodley to build the beautiful daughter church of St German’s, and its school and clergy house. His successor, Charles Smythies, a great favourite with the working men, went on to become Bishop of East Africa, where he died labouring in the mission field. Schools and churches sprang up in Roath at this time, some of which have now closed. But St Margaret’s is still the mother church of the parish, with, today, St Edward’s (1915) as its daughter church. From outside the church looks rather plain, its dark grey Pennant sandstone topped by a stumpy tower, raised as a War Memorial in 1926. The surrounding churchyard, though full to capacity, has lost most of its gravestones, in a 1969 attempt to ‘tidy it up’! But the churchyard wall survives, parts of it dating from medieval times, much older than the building it surrounds. A capacious south porch leads into the nave, ‘a glorious polychromatic interior’ said John Betjeman, in the Victorian fashion of many colours within the brick and stonework. 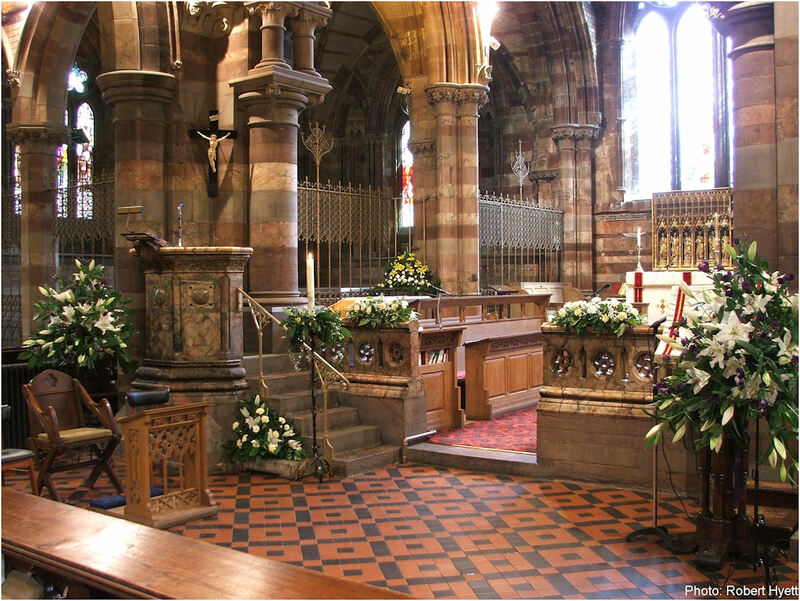 The massive crossing has four different types of stone, including much pink Penarth alabaster, also used for the pulpit and chancel screen. The chancel, though with modern choir stalls, shows much of Prichard’s work, in the south arcade, sedilia and mysterious carved heads. 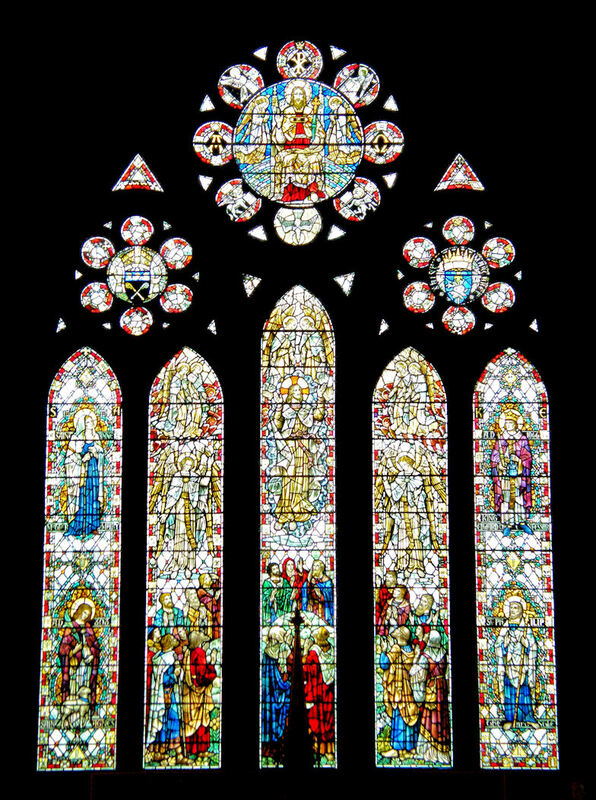 A great east window from 1952 [the original stained glass was destroyed by bomb blast damage in WW2] depicts the Ascension in white and gold, flanked by the patron saints of the daughter churches of that time. It was commissioned post war through the energetic efforts of Revd. Gwynno James, the Vicar. 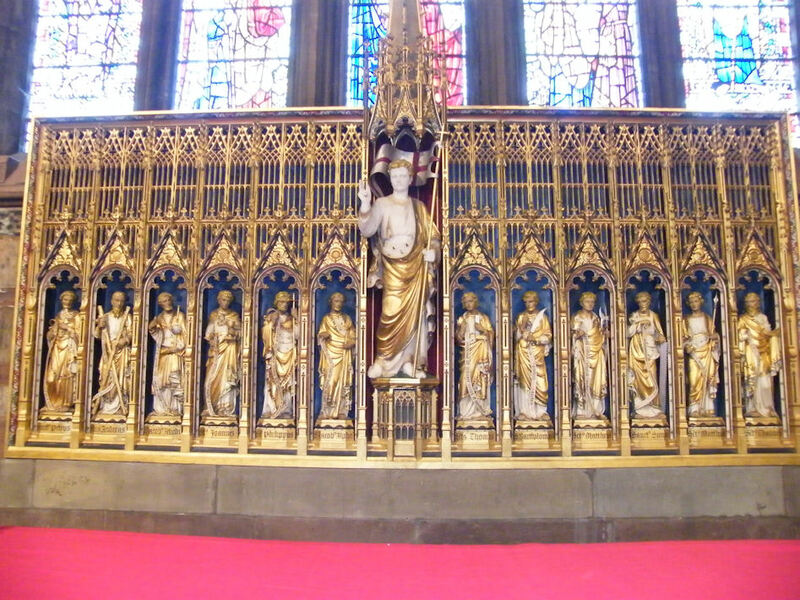 Below the window is the carved and gilded Reredos, by the famous Ninian Comper, showing the Risen Christ and his 12 Apostles. 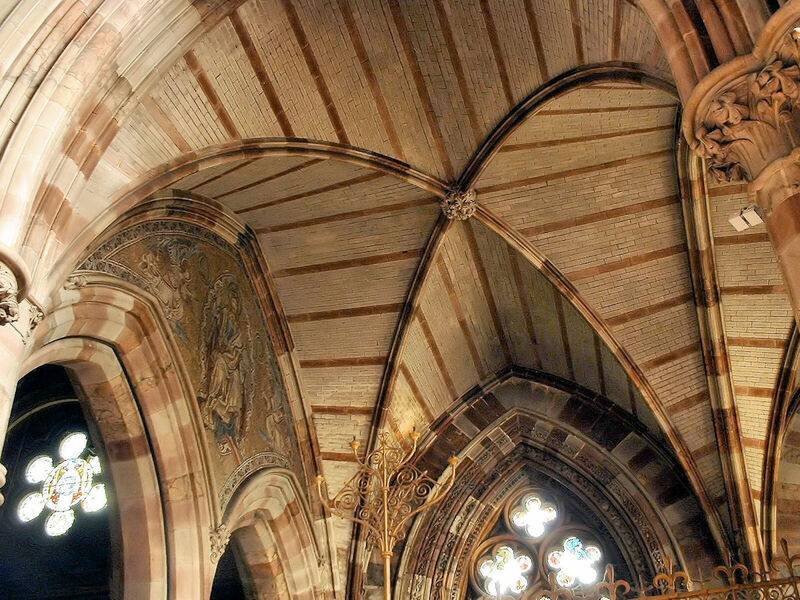 To the north, arches with lavishly carved capitals lead into the church’s unique feature, the Bute Mausoleum. 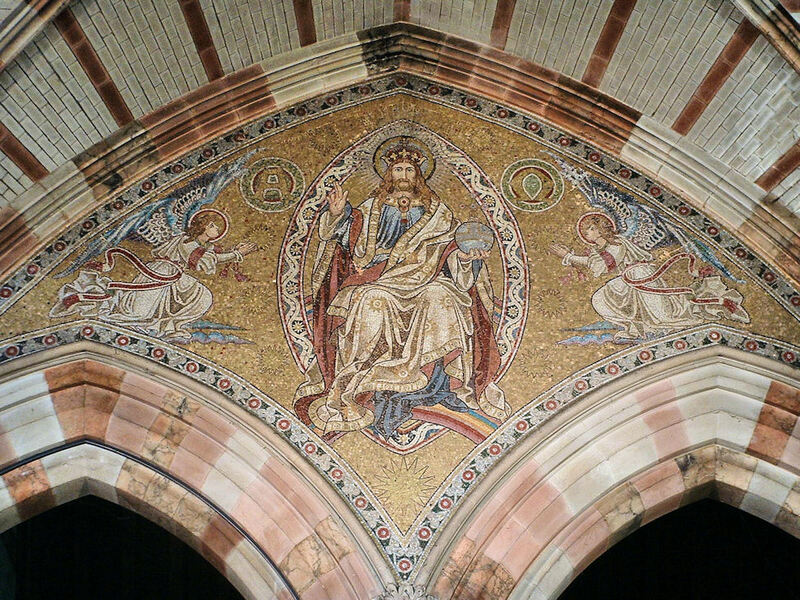 Rebuilt in the 1880’s, this chapel is a deluxe version of the style of the church, with profuse foliage carving, a brick vault and a beautiful mosaic of Christ in Majesty high on the west wall. 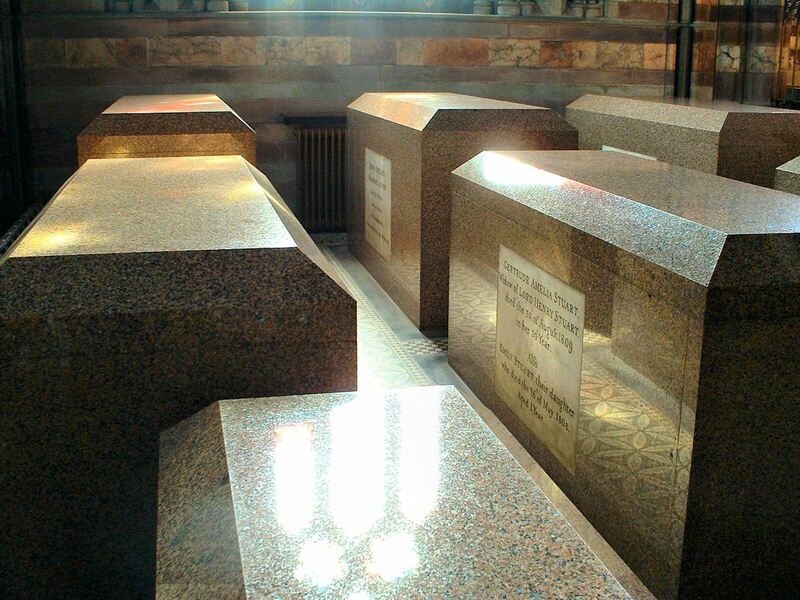 Beneath, lie nine members of the Bute family, including the first Marquess and his two wives, buried in triple coffins, pitch-sealed, within massive red Peterhead polished granite tombs, their style similar to that of the tombs of the Tzars in St Petersburg. This unique Victorian funerary chapel is the only Bute burial site in Wales. The BBC has done a short video on St. Margaret's Church and the Bute family to view it click here. 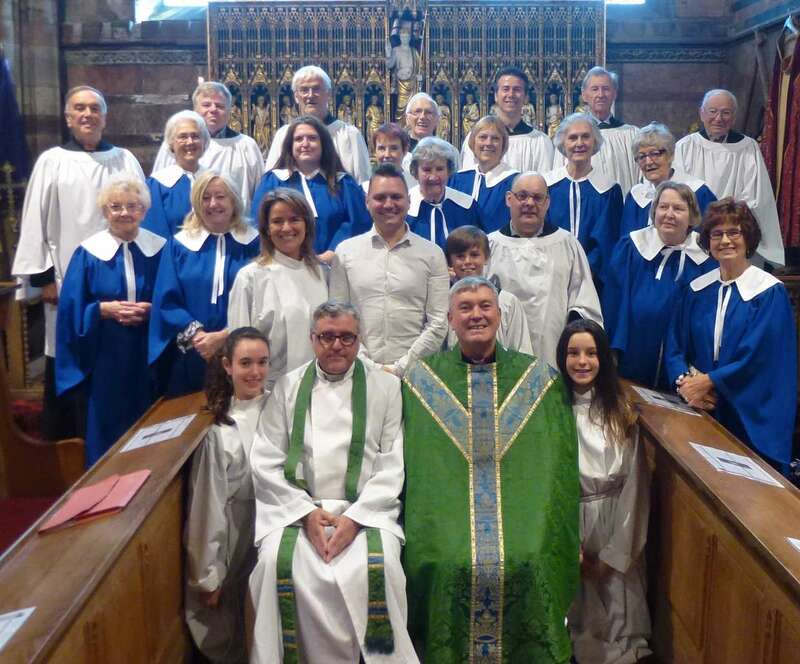 St Margaret’s has enjoyed a long fine musical tradition, and in the mid 50s was the first Parish Choir (i.e. non Cathedral ) ever to sing ‘Choral Evensong’ on BBC Radio 3 (then called the Third Programme) with phone lines temporarily installed for the Outside Broadcast. The fine pipe organ was originally a 3-manual built by Bevington & Sons, but was raised into an organ loft to create the space below for a choir vestry by Hill Norman & Beard and re-built as a 2-manual in the early 1950s. In 2008 it was further updated by conversion to digital logic and switching. 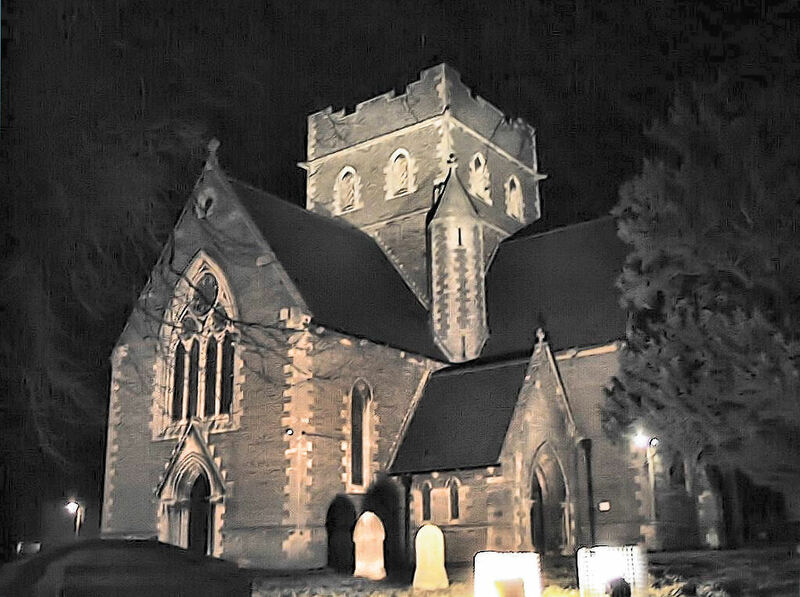 To be ready to celebrate the Millennium, in 1999 St Margaret’s installed floodlighting as part of a national scheme to floodlight churches, and received partial sponsorship of the capital cost from the Millennium Commission. The running costs are met by church members donating each week in celebration or memory of family events or loved ones. The maintenance (and costs) of this fine Grade 1 building is an ongoing work in hand. But it also provides interesting challenges from time-to-time too. Click here to see a recent example of one such challenge. The church is open to visitors on Wednesday mornings between 10 and 12 noon. 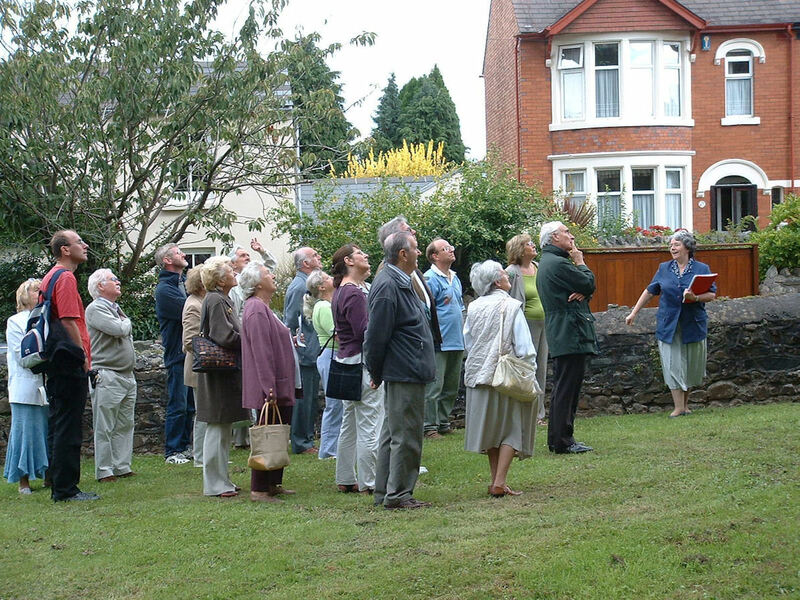 Every year on Heritage Weekend, crowds of people come, for a warm welcome, for a guided tour of the church, to climb the tower with panoramic views as far as the Severn bridges, and to sample delicious homemade refreshments. Heritage Weekend dates for 2019 are Saturday 21st September from 1 pm, and Sunday 22nd, from 2pm. Do come and see!